This post is the first of a 2-part series describing ways to bring Primary music into a weekday Activity Days meeting. Look for part 2 next week. I had each group choose one of the stations to start. All the supplies, along with written instructions of the activity, were in separate corners of the room. The pianist and I started playing and singing the first Article of Faith, while the Activity Days leader helped the girls understand the instructions and work on their different activities. I basically just sang the song over and over for 10 minutes, with short pauses to answer questions, until I called out that it was time to switch stations. Each station was focused on a different activity. We changed to the next Article of Faith song when we rotated stations, so that each group was working on the same Article of Faith at the same time, though they were working on different activities. I prepped a blank word search for each Article of Faith on poster board. My local department store had poster board with grid lines already drawn, and that made my life a lot easier. :) I chose key words from the Article of Faith and wrote them at the bottom. Working as a group, the girls wrote the chosen words in the empty boxes first, and then they added random letters in the remaining spaces. This activity is one I've used a lot in my Primary, so the girls were familiar with it. You can find the description in my previous post, here. This time, I had the girls work as a group to make their own codes by listening carefully to the words as I sang. This station was very simple. 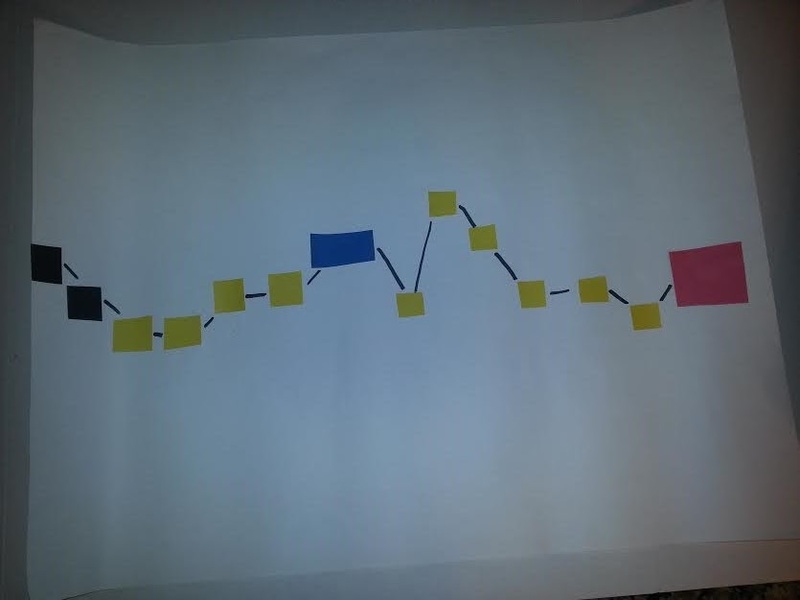 I had paper and markers, and I asked them to individually draw a line to show how the melody goes up and down. Then they showed their papers to their group members and traced the line as I sang. Looking for more? 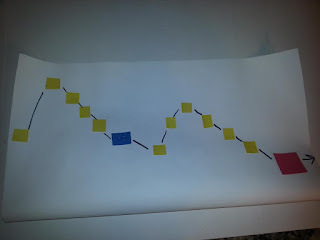 Take a look at my post for a rhythm band activity, which gives older children the challenge they crave. Or try some of these suggestions for having older children play prelude for Primary. Sand blocks are always a hit. There's something special about Singing Time during the last couple months of the year. Without the pressure to focus on program songs, I love choosing songs that support the Sharing Time theme of the month. November's theme is, "When we serve others, we serve God." So this week I chose to sing "I Will Be Valiant" (p.162), one of my favorites that we don't sing as often anymore. Because this song has a bouncy rhythm, I decided to pair it with sand blocks. Where do I get sand blocks? Amazon.com is my go-to for kids' instruments. Here is their quick list of sand blocks. A word of caution on the Basic Beat brand ones: they are the cheapest for a reason. A friend of mine owns several sets, and the handles on some fell off after less than a year. I don't have experience with any other brands, as I made my own. A lot of work? Yes. A lot of money? No. It was a very simple project, and you can find my tutorial here. Do I present this activity the same in both Junior and Senior Primary? Absolutely not. 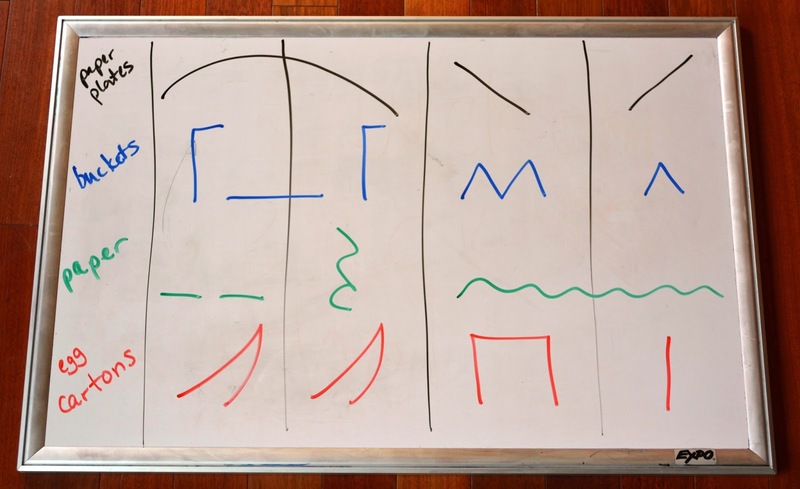 See my post here on ways to keep it simple for the youngsters (while still providing them age-appropriate challenges) as well as more complex rhythms for the older kids. If you have a combined Primary, take a look at this post about ways to adapt playing with instruments. What if the children don't know the song? Not a problem. :) The children can be entirely engaged in the music as they play their sand blocks, and they can listen to the words as you sing. This is the perfect kind of activity for a song that the children don't know, but that you'd love them to hear. 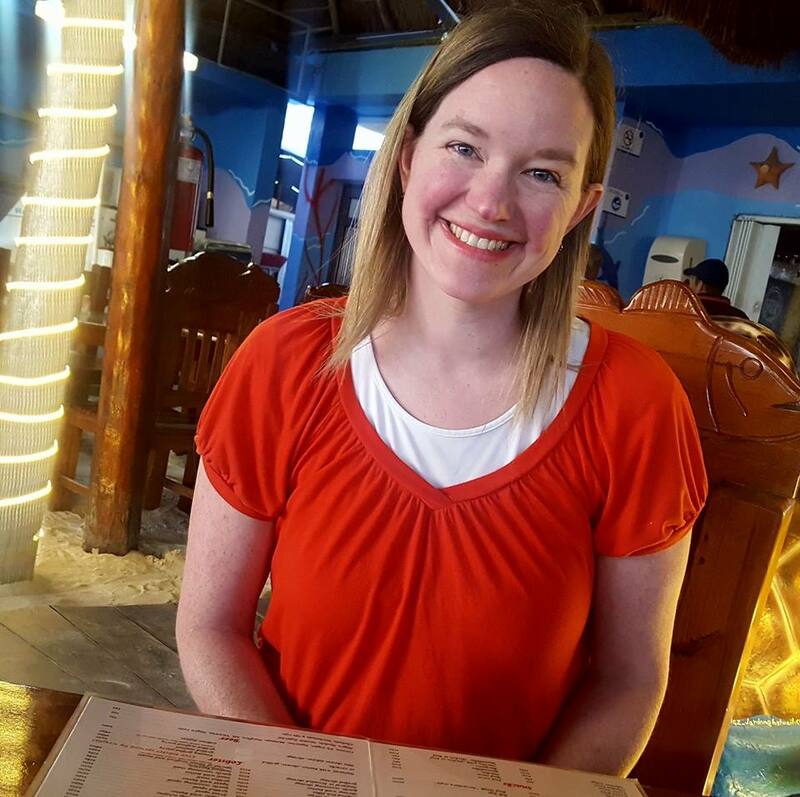 In Sharla's Color Code, she created the code for the first verse of "Come, Follow Me" (Hymns #116). My children already knew that verse, so I wanted to use the code for verse 4, instead. As I sat down to apply Sharla's code to verse 4, I quickly realized it wouldn't work. She had circles of different colors stand for words that started with a certain letter. (eg. Orange circles for words that started with "C.") That worked well for verse 1, but in verse 4, only the letter "W" was used with any frequency higher than twice. So I set out to develop my own code, using her basic idea of one circle per word. Here's what I developed, after looking at the song and verse I wanted to highlight. You can use a similar process to adapt Circle Code for any song. Light blue circles=one syllable word starting with the letter "W"
So, the first line of the poster corresponds to this line from the song: "Not only shall we emulate..."
The pictures make it hard to see how simple the poster really is. It's truly just poster board with paper circles glued on. I used a plastic cup to trace the larger circles onto construction paper, and I used a depleted roll of scotch tape for the smaller circles. The shadows are just large black circles that I aligned a little lower. I lined up all the circles before gluing them down, so I could double check their placement and my coding. My favorite glue to use is a dot glue runner, as I've found that liquid glue will pucker the paper, and a glue stick doesn't have very good staying power. Place the poster on the board and ask the children what they notice. Receive their answers. Ask them to crack the code while you sing. Point to each circle as you sing the corresponding word, and after the first sing-through, ask what their guesses are. Sing through a couple more times, emphasizing different words as necessary. 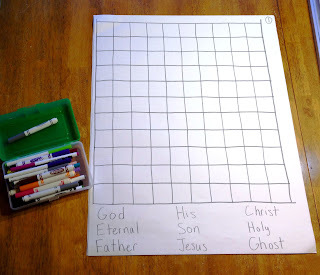 Confession: the first time I tried this activity with my Senior Primary kids, it totally flopped. I realized--after the fact--that I hadn't given them enough experience with a single rhythm instrument to be able to follow the more complicated instructions given with a band. 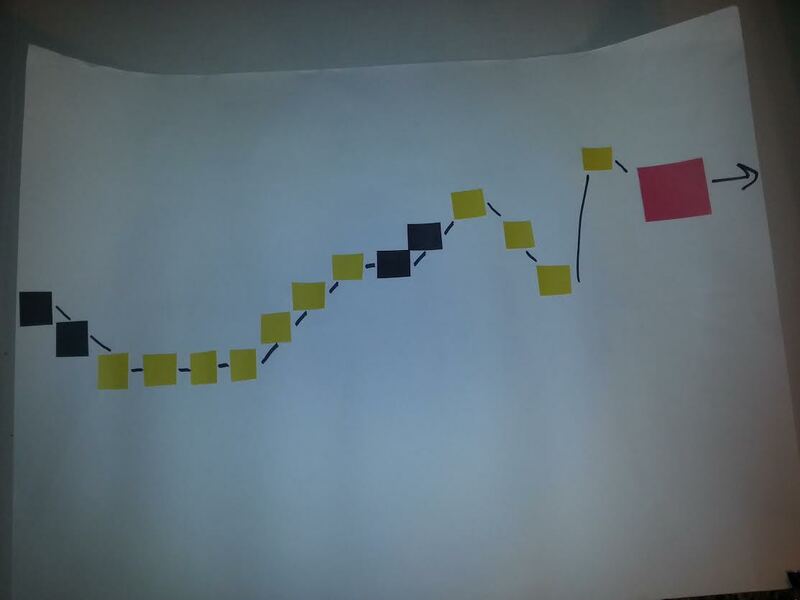 So I rolled it back, giving them symbols on the board to correspond to actions and rhythms with a single instrument. (See examples of this in my posts on egg cartons and sand blocks.) Once your children know how to follow this style of notation, they'll be ready and eager to try it in a band setting! Now that you've chosen your instruments, you need to choose a short pattern for each one. Using simple symbols, write each pattern on the board on separate lines. 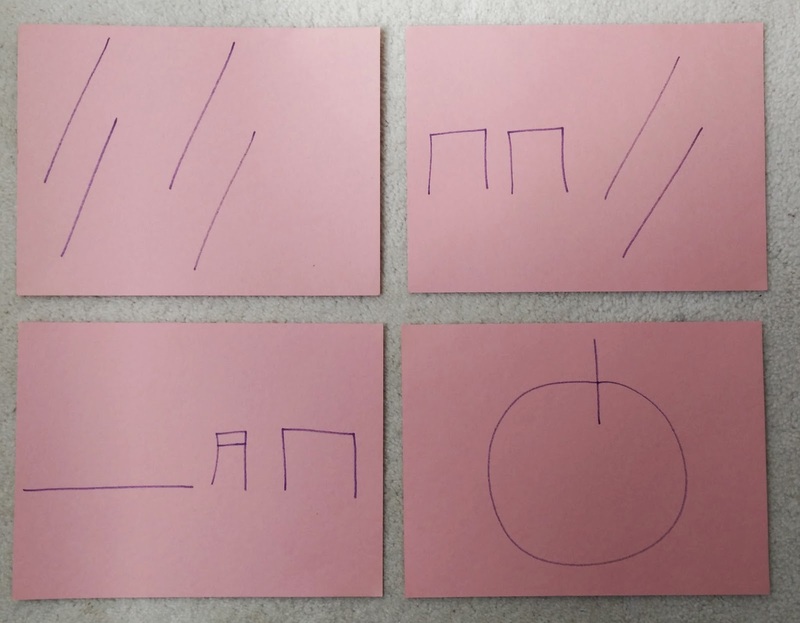 The following picture shows how I write the patterns on the board, so that the symbols vertically line up for the same moment in time. Here, each instrument's pattern takes four beats to complete. 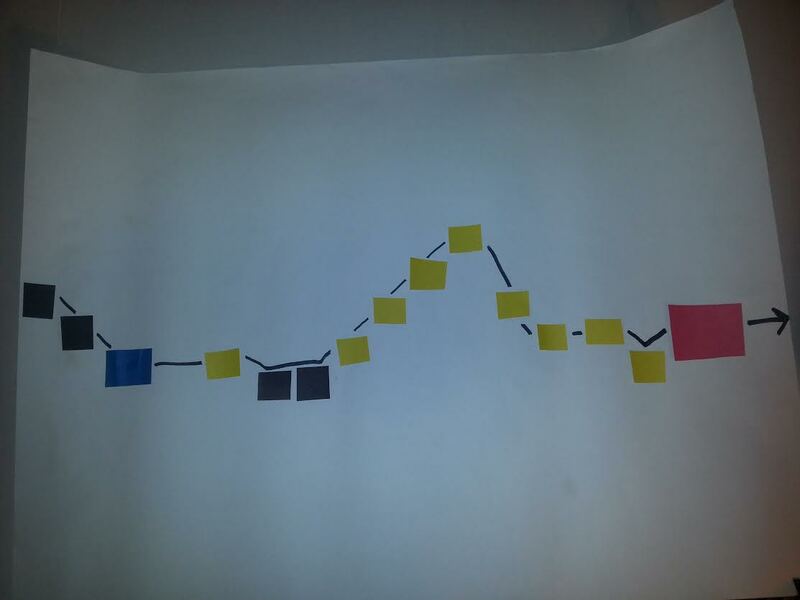 I've added vertical lines for you (which I won't use for the children) to show where the four beats are. Here is the interpretation of my symbols. Please note that you don't have to use mine! Use whatever symbols and rhythms make sense to you. This is just one idea. Paper plates: The long arc represents a cymbal crash where they make a large circle with their arms extending up, then out. The two diagonal slashes represent one paper plate crossing to tap the opposite shoulder. Buckets: The first two beats represent syncopation with flat palms hitting the drum: eighth, quarter (hold your palms there! ), eighth. The tiny zigzags represent light finger tapping, using two alternating fingers on both hands. I have them tap sixteenth notes for the first of those beats and eighth notes for the second beat. Paper: The two flat lines are eighth-note taps on their laps, then they rest for one beat. 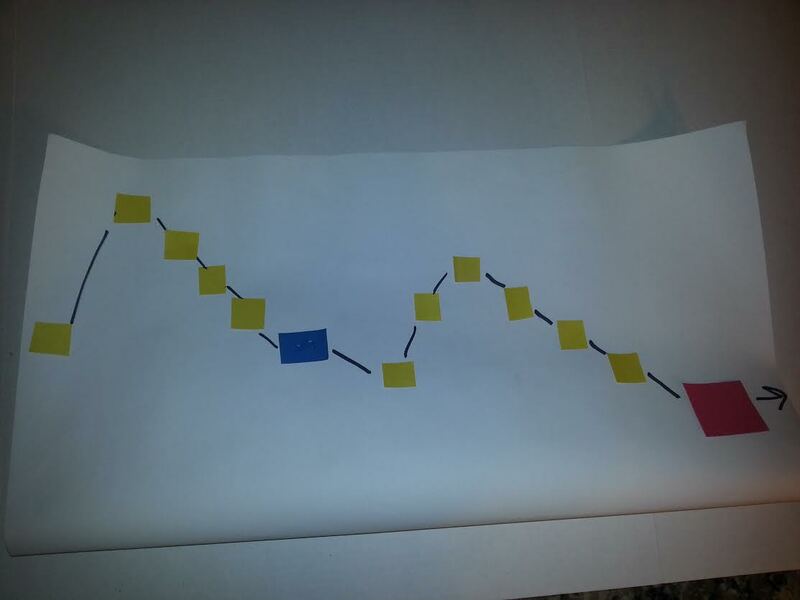 The wavy line represents holding the piece of paper in both hands, letting it hang down and shaking it very quickly. 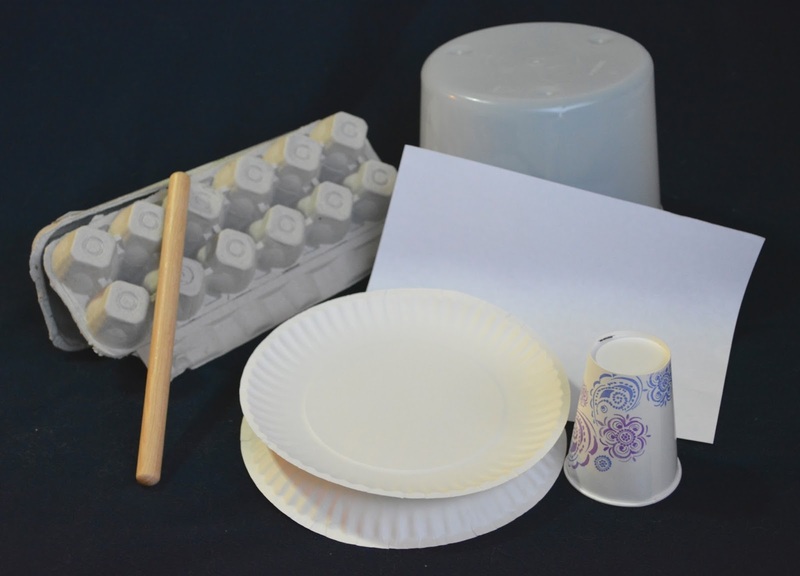 Egg cartons: The pointy swoops represent scraping the carton back and forth with a rhythm stick. They then tap with the stick, two eighth notes and one quarter note. Demonstration: To teach the children how to do this activity, I start with all the instruments up front. I demonstrate each one individually, singing as I do so, and I invite them to follow my hand movements, even though they don't have instruments yet. I let them know that we'll be trading around instruments periodically, so they should learn each part. Rules: Right before I ask children to help me pass out the instruments, I remind them that in a band, all the musicians have to follow the conductor. I try to make it a game, where they have to sit up straighter when I dramatically raise my hands, and they have to instantly freeze when I cut them off. We practice that a couple times, and then it's finally time to begin. Distribution: I ask children to pass out the instruments so that each item is scattered around the room. While they're doing that, I start singing and pantomiming the actions for one instrument. I don't hold an instrument, so that I can switch quickly between the four. I'll point to a line of symbols then do those actions for a line or two before switching to the next. Breaking it down: If I see the children are having trouble, I'll use the earlier practiced motion of cutting off the music. Then I'll break it down, one instrument at a time, to go over the pattern. I sing as I'm demonstrating, so that even as it seems the activity is going slowly, the music learning never stops. Shaking things up: Once they have it, I call out, "Switch instruments!" Then I hold up ten fingers and begin to count down, to let them know they have a deadline for trading with their neighbor. As soon as I reach zero, I begin the song again, and we repeat. Mysteries. Codes. Thinking puzzles. Nothing engages my older boys more. This First Letter Code activity taps into the logical learning style, which my Senior Primary craves. To prepare this activity, select just one verse of a song. I chose verse 1 of "Tell Me the Stories of Jesus" (Children's Songbook p.57). Write out the first letters of each word in song order. So, "Tell Me The Stories Of Jesus I Love To Hear" becomes "TMTSOJILTH." Continue for the entire song. Write one group per paper strip (card stock works well), until the whole song is represented. Present to the children with the papers out of order. Tell them the papers are a code, and the key to solving it is in the song. Sing the song through, and then hear the children's ideas for how to crack the code. If they are baffled, help them out by pointing to the first paper as you sing the first line. Once they understand, they will be excited to place the papers in order. Instruct the children to raise their hands when they know which paper comes next. Begin singing the song again, and silently wave children forward to correctly place a paper strip, one at a time, as you go through the song. Periodically restart the song, pointing to each letter as you sing the matching word, to check the order. Sand blocks. I showed you how to make them. I told you I'd be using them. I even hinted that you could keep them simple for junior primary and then step it up for senior primary. My weekly outline posts can only have brief descriptions of each activity, though, so here's a more in-depth look at how to make the magic happen. First, let's take a look at how the activity goes for junior primary. This week, I'm using the President Monson verse of "Follow the Prophet," found in The Friend magazine here. We start with light tapping, where I touch the farthest edges of the blocks together and then quickly switch to the nearest edges touching. I make these quick (so the children don't get bored), giving two taps per beat. I use 8 beats ( or 16 taps), for the phrase, "Heav'nly Father loves us and wants us to return. 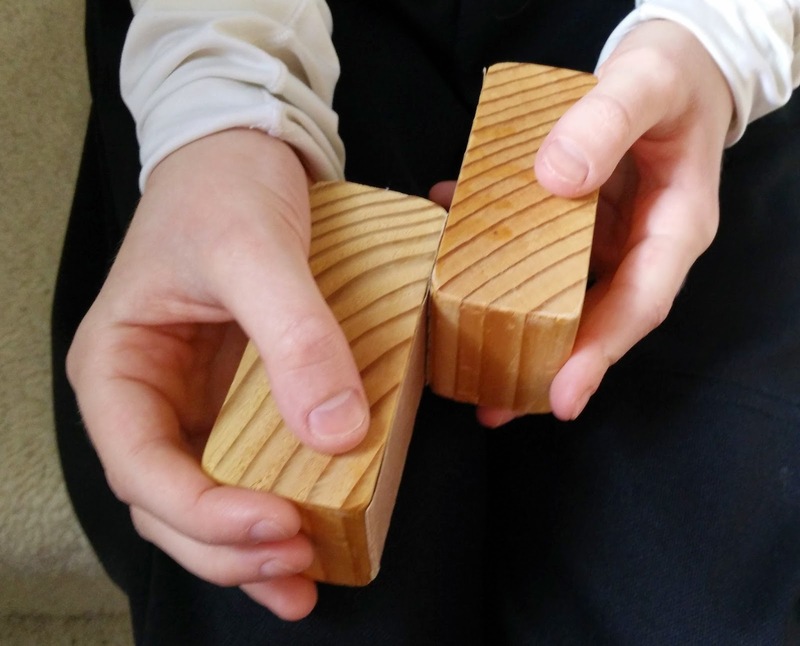 He...."
Then I switch to 8 counts of scraping the sand blocks against each other, along the sandpaper side, on each beat. This uses the phrase "...blesses us with prophets who help us to learn." For the rest of the song, I alternate tapping and scraping, in 8 count intervals. About half-way through the song, when the children are following me well, I change things up slightly. 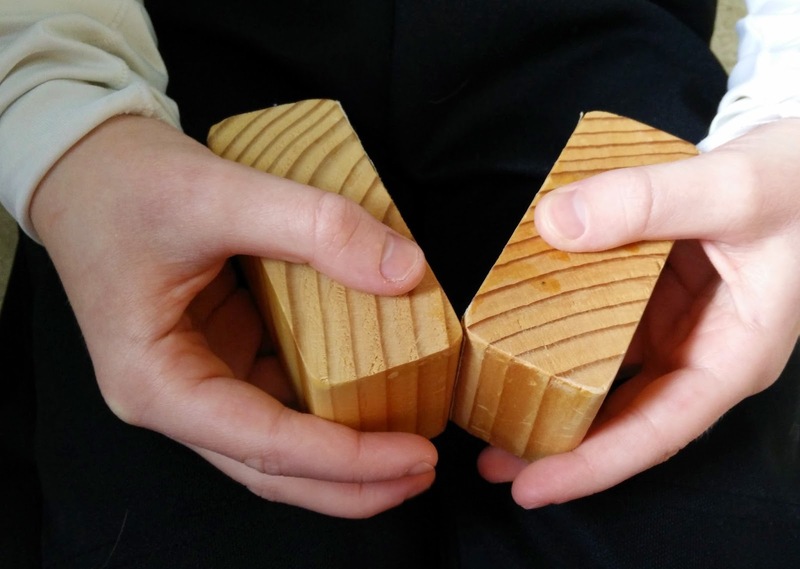 For the taps, I hold the blocks right in front of my body, but I move the scrapes to different locations. The first time, I hold the blocks out to my right. Taps are back in the middle, then scrapes to the left this time. Taps in the middle, then scrapes up high, etc. The song ended at some point during all that, but since we're now changing the movement some, the children aren't tired of the activity yet, and we just repeat the song and continue on. If I have lots of time and want to extend the activity further, I switch to only scrapes, and I change the location every 4 beats. 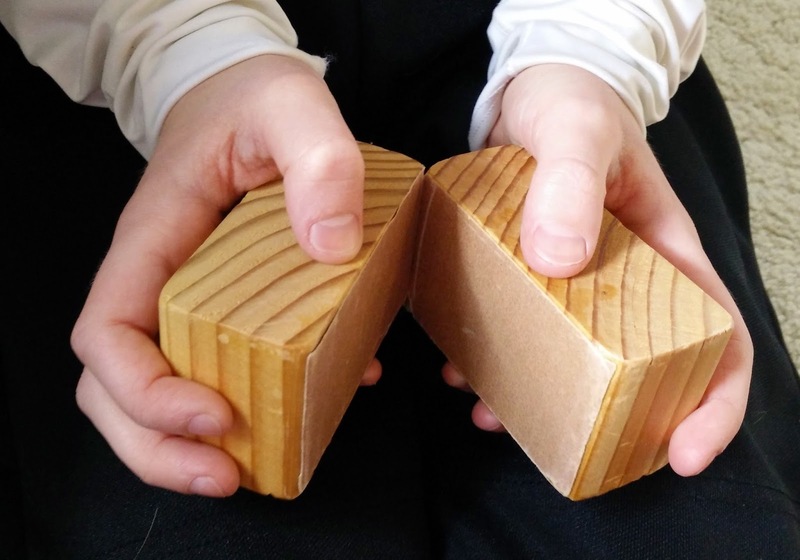 I try to trick the children or be silly in some way (holding the blocks next to my belly button or nose, for example), as kids love it when a lesson feels like play. Now think about senior primary. Your older children will groan if you present sand blocks in the way I describe above. Instead, consider how they will respond if you place papers like the ones pictured up on the board. 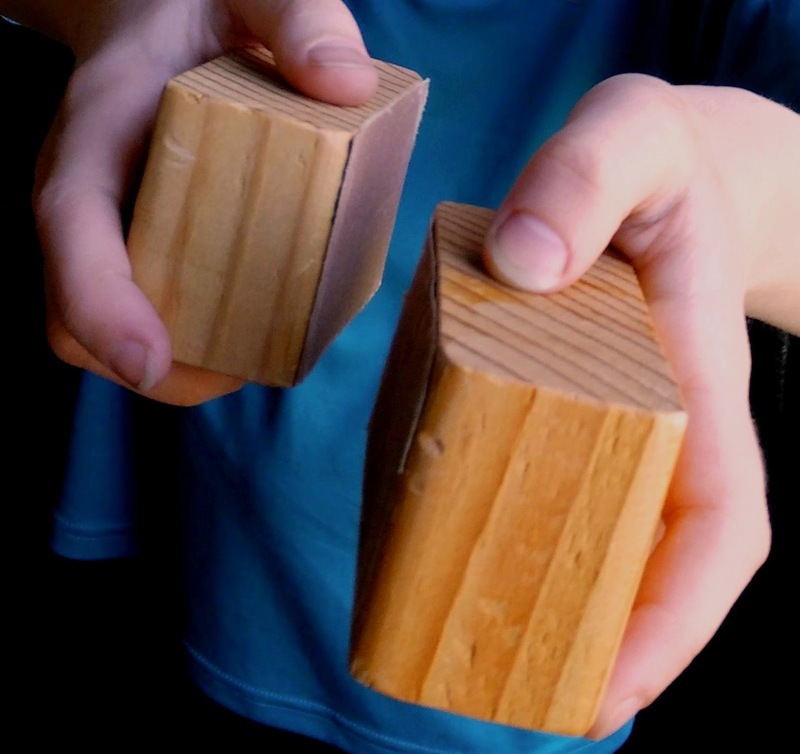 Before I pass out the sand blocks, I demonstrate my chosen actions without any explanation. Then I ask the children to match my actions to the coordinating symbols on the papers. When my senior primary was new to this type of activity, I put the papers in order. Now, I place them on the board out of order, and the children have to unscramble them before they get any instruments. It normally only takes one time through the song. My kids catch on fast! However, since you don't have the benefit of watching my actions, here's the interpretation. One piece of paper shows the actions for 4 beats. 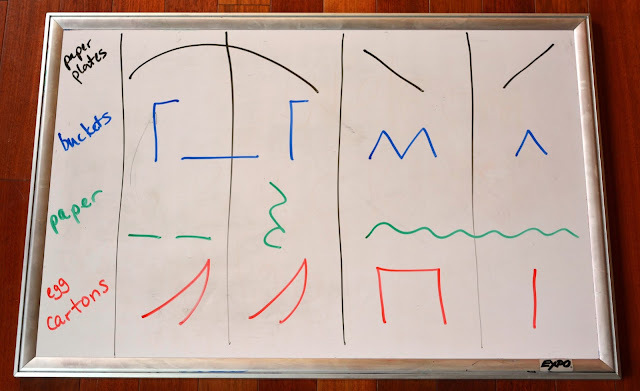 The diagonal slash marks are for scrapes; the eighth and sixteenth note flags are for taps at the designated speed; the long flat line is a clap-and-hold; and the apple-ish shape shows them to hold their sand blocks together and circle them around their heads. If my code doesn't float your boat, then make your own! The important thing is just to have some visual identifier for each action.